Project Life: Week 22 | I am JuJu! ← The Loss of Our Friend Buddy! I had great intentions of sharing multiple weeks of project life this week, but that is just not going to happen. I finished week 22 and had printed out all the pictures for week 23 when I received word that our dear friend, Buddy, had been struck and killed by a hit and run driver while jogging. We are beyond saddened by this tragic loss. I wrote a post yesterday about coming together to help his precious family! Please take a moment and read it HERE! I truly am at a loss for words this week so I’m just going to share the pictures and let them speak for themselves! As always, if you have any comments or questions, please leave them below! 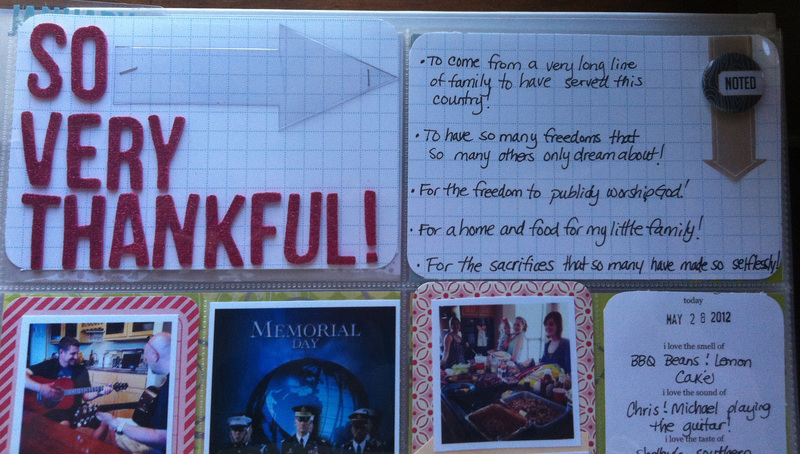 I’m linking up with The Mom Creative today for Project Life Tuesday! I pray that you have a safe week! Make it great & make it count! This entry was tagged project life. Bookmark the permalink. 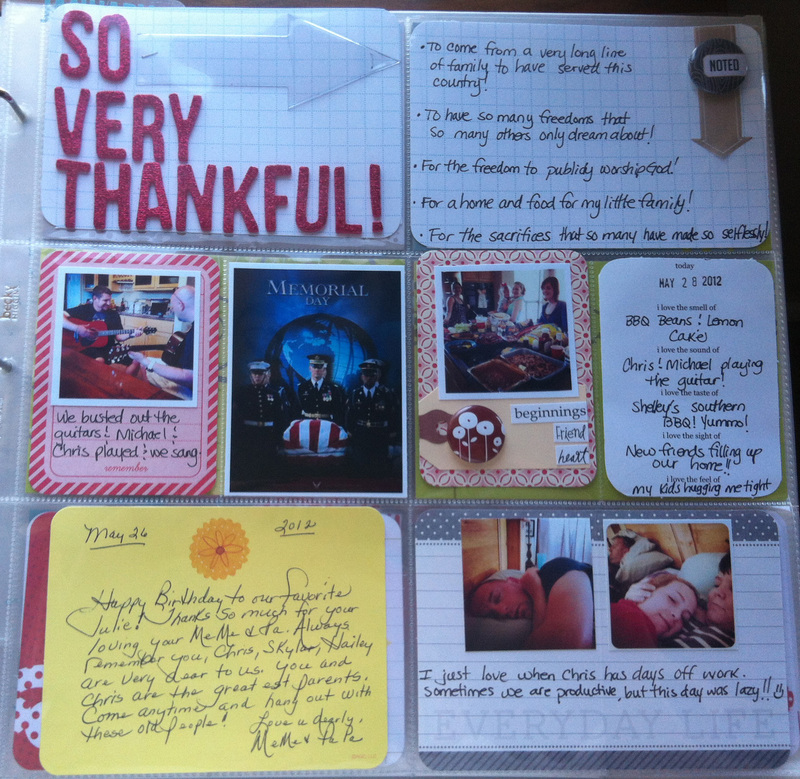 Loving the big acetate arrow in your layout! And the badges, especially the Noted one. Hi Julie, So sorry to hear about the loss of your friend. 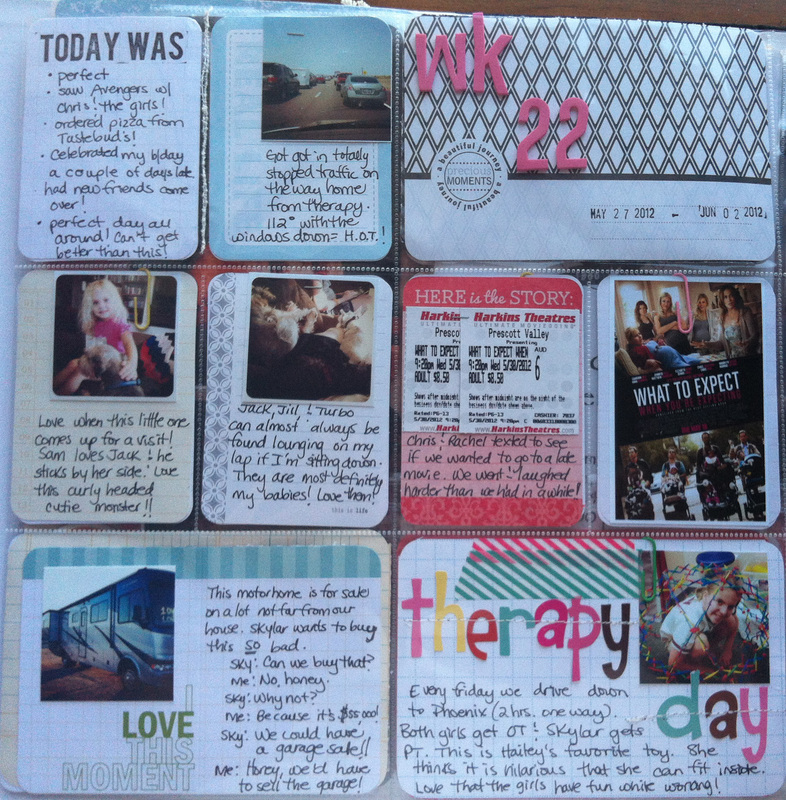 Your layouts for this week look great. 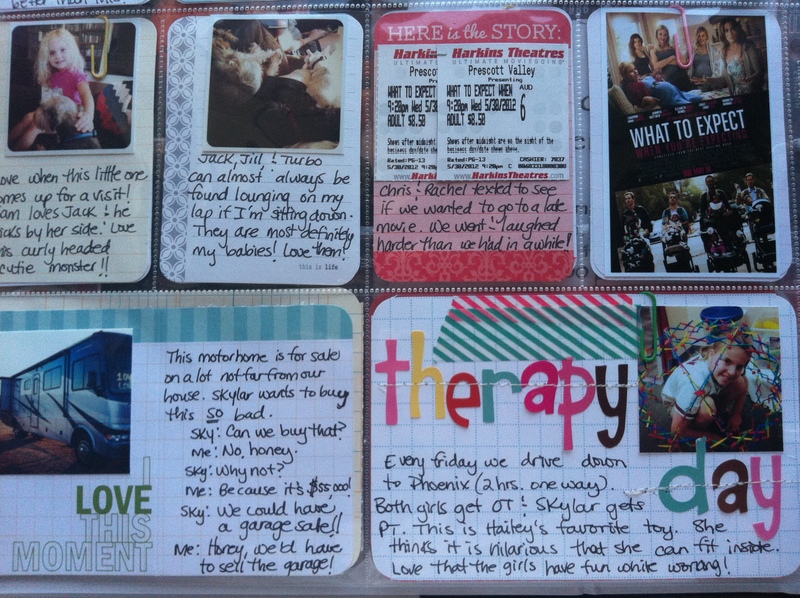 I really like the “therapy day” card the best – so colourful.